Tasmania’s zombie pulp mill vanquished? Australian campaigners are optimistic that they may have succeeded in their mission to ensure that no company buys the permits to build and operate the Tasmanian ‘zombie’ pulp mill. There have been concerns over the past few months that the pulp mill planned by Gunns several years ago, and defeated after a vigorous campaign by locals and environmentalists, was at risk of coming back to life. Peg Putt, of Markets for Change, explains why there is once again cause for celebration. “It has been announced that Gunns’ plantation estate and other assetts have sold to New Forests, a plantation company, who say they have no interest in the pulp mill permits and won’t buy them. The purchase of the feedstock required for this mill without also buying the pulp mill permits makes it very difficult for the mill to proceed, as they won’t have the guaranteed volumes of plantation wood they need to operate it. The pulp mill permits remain on sale, but it isn’t only we green groups who think the pulp mill proposal might be dead: ABC says that the pulp mill is ‘dead in the water’.Â We won’t get a final announcement however, as the receivers must continue to try and sell everything no matter how unlikely. Also both major political parties here can’t lose face by admitting they’ve backed a loser. The Heemskerk meeting on pulp mill finance organised by EPN and BankTrack was timely and very helpful for us. Skills learnt and contacts made were vital to our ability to get the message out re this odious proposal. We are very grateful. 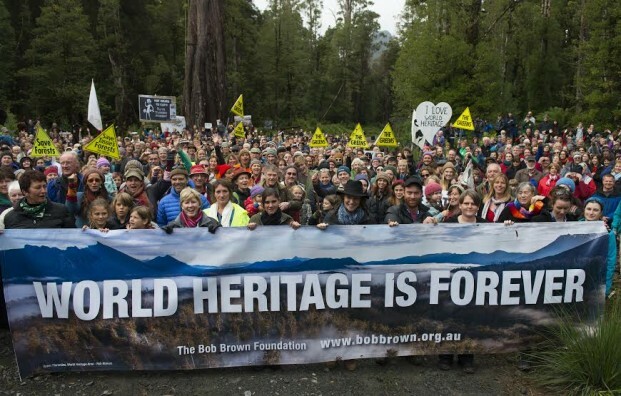 We still have a tremendous fight on our hands in Tasmania to defend 74,000 hectares of World Heritage listed forests that our new government wants to open up for logging, plus another 400,000 hectares of high conservation value forests that are to be re-allocated into future logging zones under new legislation just introduced (they are currently designated for protection in future reserves). We fear that some of this could be fed to a pulp mill in the future if the government wants to revive the zombie by changing the hard fought provision for plantation only feedstock.